A friend, Heather, and Michael's Aunt Bitsy gave Mary Katharine these cute headbands. I just had to do a little photo shoot of her in them...She is such a pretty baby girl!! Mary Katharine is such a sweet baby!! She loves playing on the floor and she is always aware of where her 2 brothers are. She starting sitting up in the last week and she loves her new view!! She is already starting to go towards the floor to crawl:( My baby is growing up way too fast!! We got our 4th snow of the winter...which is basically unheard of in the state of Mississippi. We got about 5 inches this past week and I still can't believe that we have seen this much snow this year. The kids, of course, loved it and we were out sledding first thing that morning. Whitten had his tongue out the entire day, trying to catch all the snowflakes. 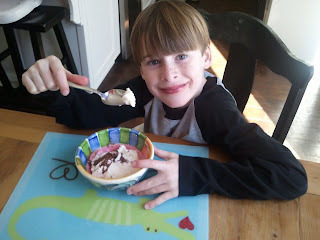 We made snow ice cream that afternoon and it was delicious!! Vaiden started playing basketball this year and his team was Team Thunder. It was alot of fun to watch. They played 4 on 4 half court and the goals were lowered to 7 feet. This year was a teaching year for the kids...basically, they learned the basic rules of the game. Vaiden did a great job playing and he really enjoyed it. He was a great shot blocker and he improved his shot over the course of the season. He is already talking about playing again next year!! 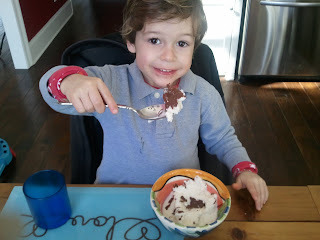 Three years ago, Whitten was born on my birthday (February 5th)!! It was such a crazy day, but fun and exciting day to say the least!! 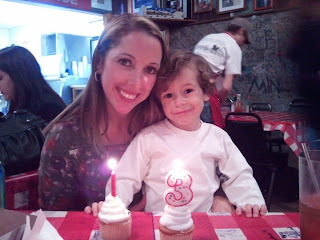 I am so happy to share my special day with my little man. 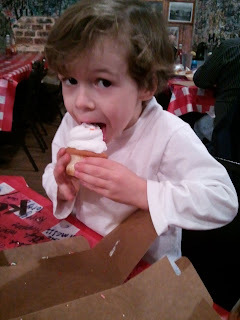 We took the family out to eat last night and it was alot of fun. 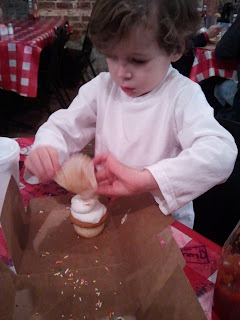 Whitten was so excited to have cupcakes and a candle to blow out!! Happy Birthday Big Boy!! 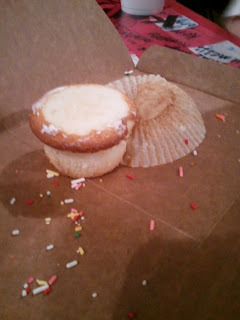 His cupcake was as big as his mouth!! Adding just a few more sprinkles!! 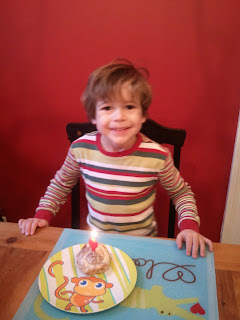 First thing yesterday morning, we put a candle in Whitten's cinnamon roll...he loved having us all sing to him! !